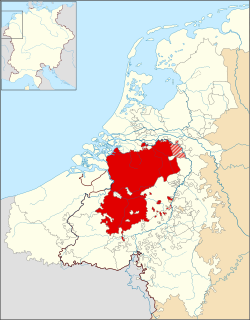 Philip William, Filips Willem in Dutch, was born on 19 December 1554 in Buren, Guelders, Seventeen Provinces. He was the first son of William the Silent and Anna van Egmont. In 1606 Philip William was recognized in the Republic as Lord of Breda and Steenbergen, and his right to appoint magistrates was acknowledged, provided he did so maintaining the "Union and the Republic's religion". He duly made his ceremonial entry into his town of Breda in July 1610 and from then until his death, regularly appointed the magistrates in his lordship. Though he restored Catholic services in the castle of Breda, he did not try to challenge the ascendancy of the Protestant-Calvinist Reformed Church in the city. He had a difference with the States-General in 1613, when they annulled his appointment of a Catholic drost. He had to cooperate with the military governor in Breda, his illegitimate half-brother Justinus van Nassau, staunchly loyal to the States-General. In 1606 in Fontainebleau, Philip William was married to Eleonora of Bourbon-Condé, daughter of Henry I, Prince de Condé, and cousin of King Henry IV of France, but he died in 1618 without any children. 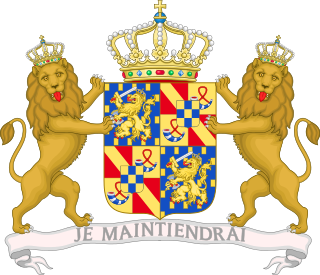 Therefore, Maurice of Nassau could at last inherit the title Prince of Orange. Philip William died on 20 February 1618 as a consequence of a badly administered enema which gravely injured his intestines.  . As Lord of Diest and a pious Catholic at the time of his death, Philip William of Orange commanded that the parish church of Saint Sulpice in the same city, should celebrate a yearly Requiem Mass for his soul. Diest is also the site of his burial in the Catholic Roman Rite. 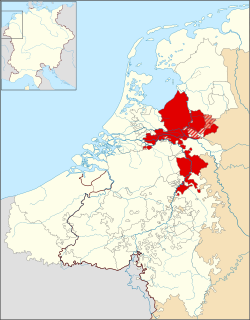 Diest is known as the "Orange City", and Philip William as "the Catholic prince of Orange", as his father in 1573 – leading the Dutch Revolt – had become a Calvinist Protestant instead of a Catholic as he had been before. William II de la Marck was the Dutch Lord of Lumey and initially admiral of the Watergeuzen, the so-called 'sea beggars' who fought in the Eighty Years' War (1568–1648), together with among others William the Silent, Prince of Orange-Nassau. He was the great-grandson of an equally notorious character, baron William de la Marck, nicknamed the "wild boar of the Ardennes". The Compromiseof Nobles was a covenant of members of the lesser nobility in the Habsburg Netherlands who came together to submit a petition to the Regent Margaret of Parma on 5 April 1566, with the objective of obtaining a moderation of the placards against heresy in the Netherlands. This petition played a crucial role in the events leading up to the Dutch Revolt and the Eighty Years' War. The Dutch Republic. Its Rise, Greatness, and Fall 1477–1806, Jonathan I. Israel, Clarendon Press, Oxford, 1998 ISBN 0-19-820734-4. Pages 298–300. Wikimedia Commons has media related to Philip William, Prince of Orange .